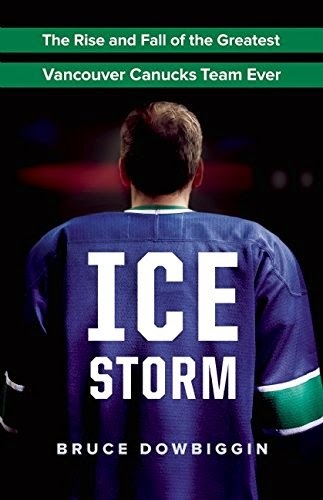 From the publisher ... "An incendiary inside look at the Canucks' meteoric rise to the top of the NHL and their dramatic post-riot fall to mediocrity—all at a time when new efforts are being launched to save the once-great team. In 2008, the Vancouver Canucks were Team Modern, revolutionizing the NHL under their new GM, former player agent Mike Gillis. Cool, calculating, and unsparing with the media, the onetime number one draft pick of the old Colorado Rockies swept away the tangled psychological past of the Canucks with bold innovation, remodeling Vancouver as a destination city for NHL star players. To do so, he built the Canucks from a non-playoff team in 2008 to the best in hockey from 2010-2012. He modernized the players' diets and psychological approach, he rebuilt the dressing room, and he sought sleep consultants to help with the Canucks' punishing travel schedule. More than that, his winning team lifted Vancouver from eighth overall in NHL revenues to second by 2013. When the team took to the ice for Game 7 of the 2011 Cup Final, it seemed there was nothing the Canucks couldn't overcome with their "Canucktivity" approach. The hockey world was at their feet. But things changed in Game 7. Physically exhausted and bullied by the Bruins, the Canucks succumbed 4-0. To cap the greatest season in team history, Vancouver rioted. Gillis tried a number of aggressive moves to get back to the Final, from switching Luongo for Schneider to trading players, but nothing worked. From there, the dominoes fell: Alain Vigneault was dismissed, John Tortorella hired; Tortorella raged, fans bayed for Gillis' head; and finally, Gillis and Tortorella were both fired. In spring 2014, tried-and-true Canuck hero Trevor Linden was installed as president, with former teammate Jim Benning by his side as GM. No one was quite sure if this was an improvement, but at least the hysterical screaming had stopped. How did it happen? Ice Storm follows the journey that led the Canucks from the top of the mountain to the bottom of the abyss in six short years. Joe's Note: I must admit that I am an unapologetic Vancouver Canucks fan at heart and always will be. The years building to the 2011 Stanley Cup final were the best years of my hockey fan life. And then it all blew up, mostly because of injuries. After that the team quickly floundered, thanks largely to mismanagement. What had been the greatest moment in Canucks' fans lifetimes has quickly soured. I have every assurance that Dowbiggin has fairly and properly chronicled all the events here. He even gives Mike Gillis a little more credit than almost any of us would, and probably deservedly so. That inside look at Gillis, as well as other situations such as committing to the Sedin Twins and the whole Luongo fiasco, are what will make or break this book. Whether the author has spent enough time exploring those angles is key. I say this having not actually read the book. I can't. I won't. At least not yet. That is no slight to Mr. Dowbiggin or this book in any way. Dowbiggin has a good track record with his many other book projects and I respect his work immensely. As I said earlier, I am a die hard Canucks fan. And I am not yet ready to relive these events. But I have bought the book. And I will put in my always growing pile of books to read one day down the road. But I am not ready to crack the spine just yet.